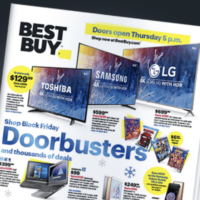 Click here to preview the Best Buy Black Friday 2018 Ad! Doors open at 5PM on Thanksgiving but select deals are live now. Plus, get FREE shipping on everything all season long! Just a reminder, Coupon Pro will be posting all of the HOTTEST online deals on Black Friday and Cyber Monday!